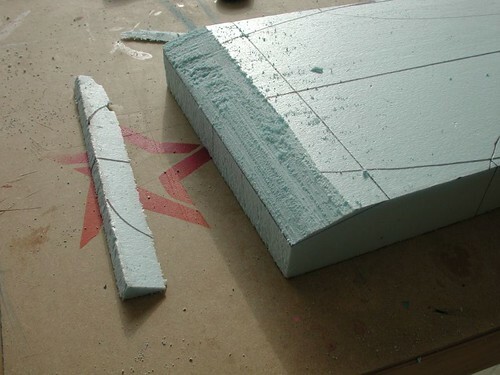 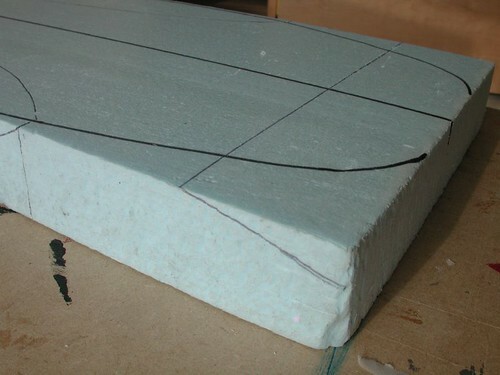 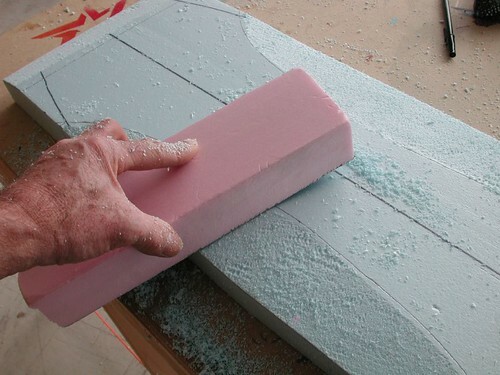 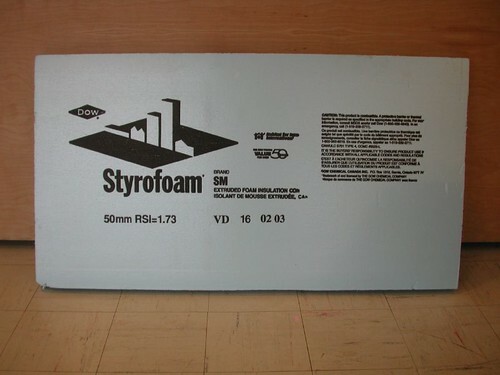 Here is a typical sheet of insulation styrofoam, it comes in pink or blue depending on the manufacturer. 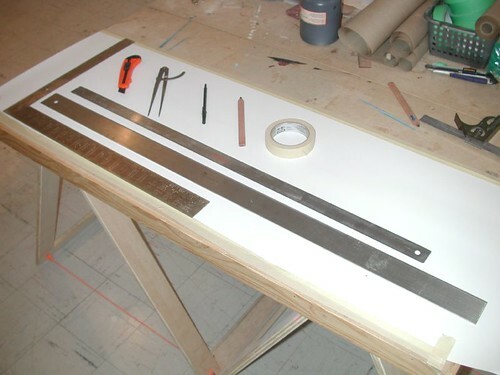 The usual size is 8′ long by 24" wide and 2" thick. 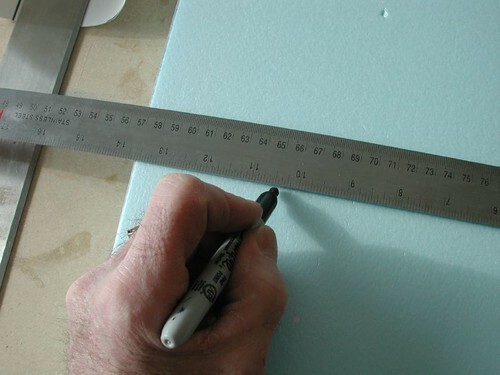 There are different R ratings you can get, the higher the R rating the denser the material. 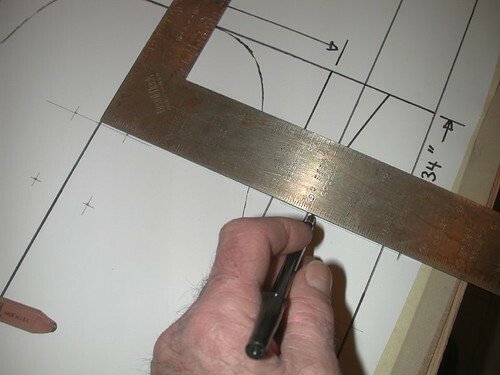 The best for deckmaking is an R rating of 9 or 10. 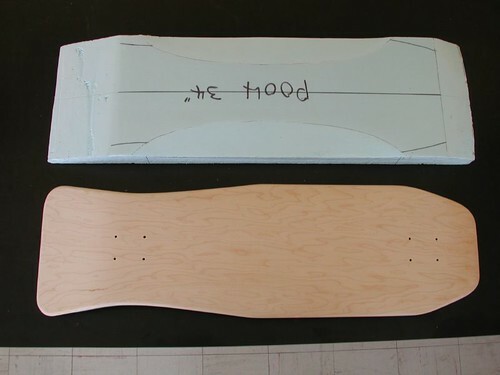 This will have a 25 psi compression strength rating. 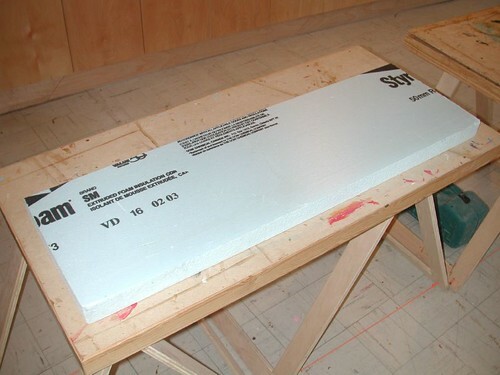 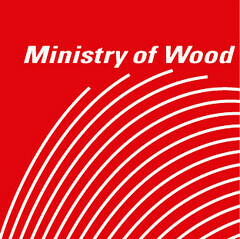 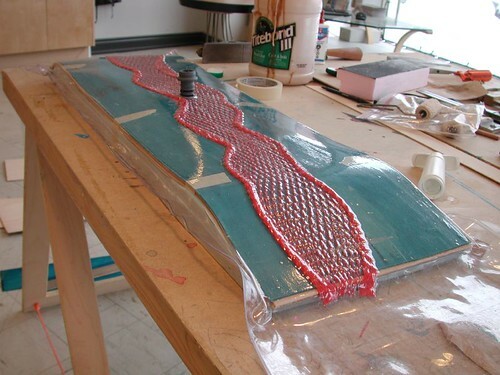 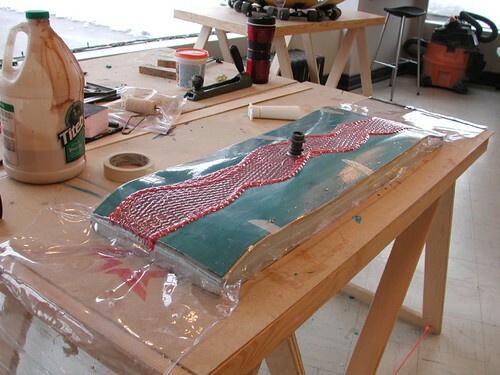 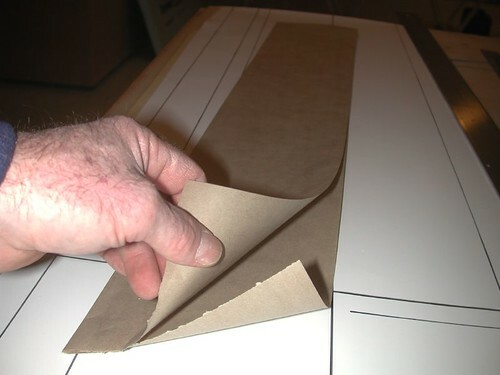 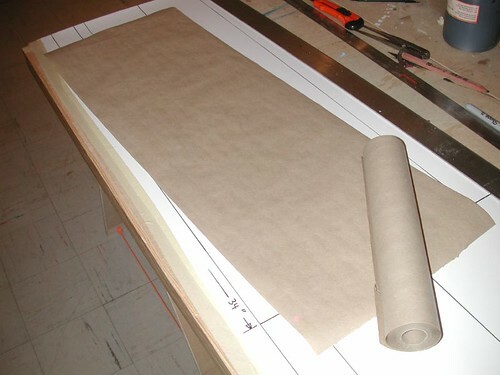 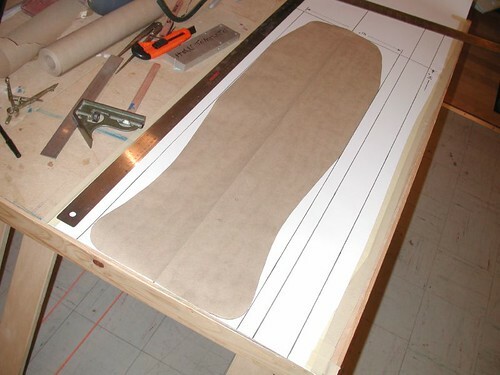 A vacuum bag creates about 14 to 15 psi, making this type of foam an ideal choice. 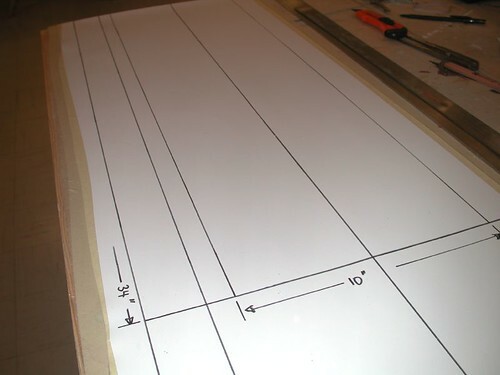 Your template should look like. 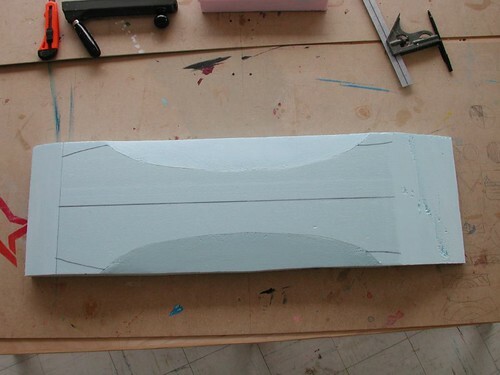 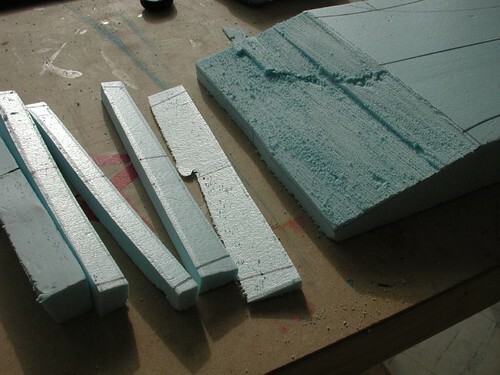 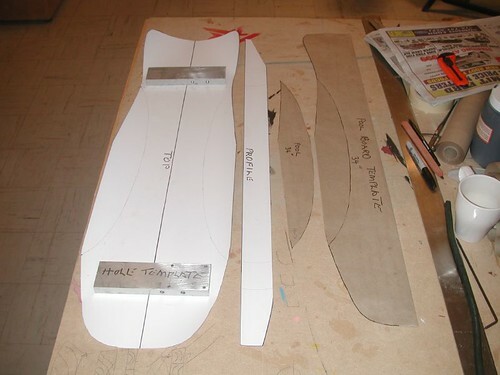 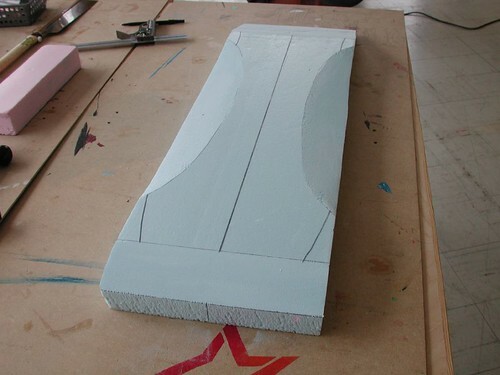 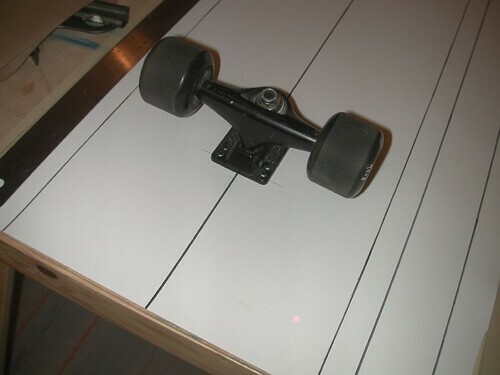 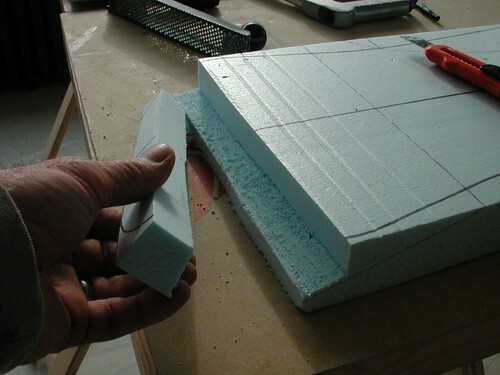 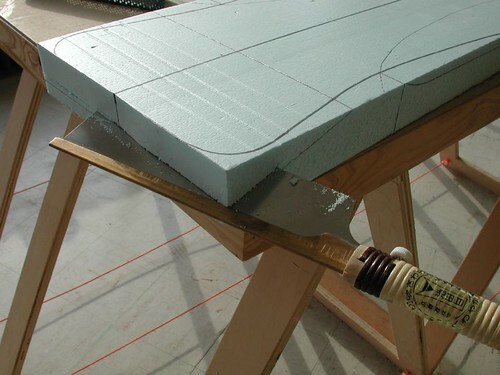 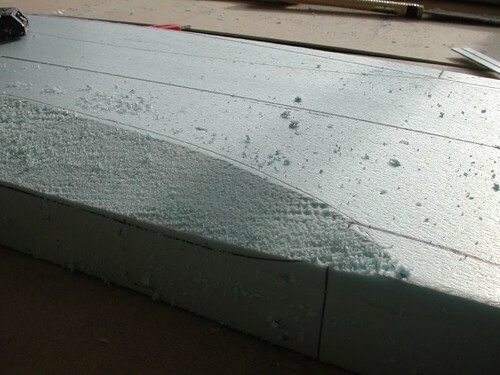 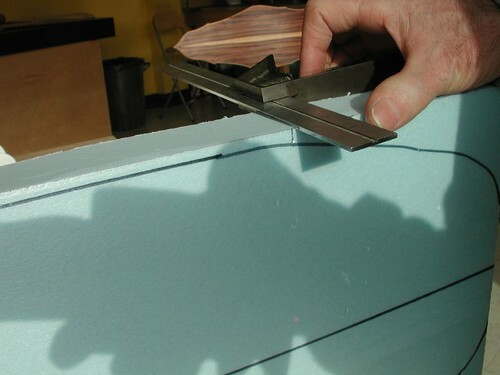 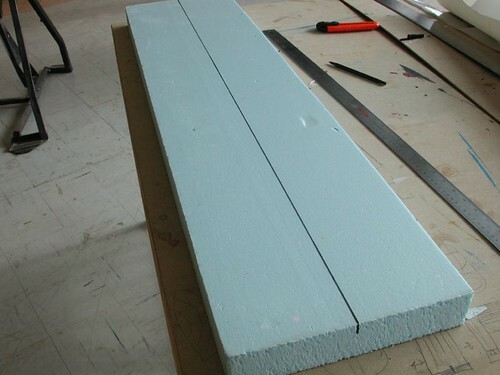 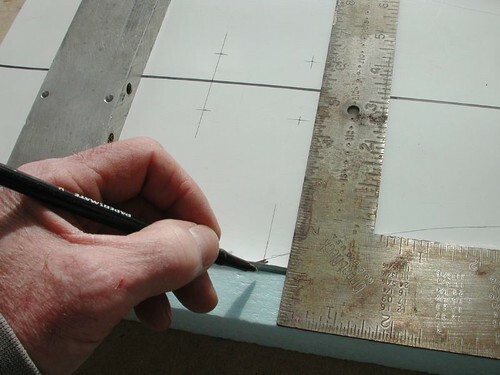 Measure and cut your styrofoam material to the length and width of your deck. 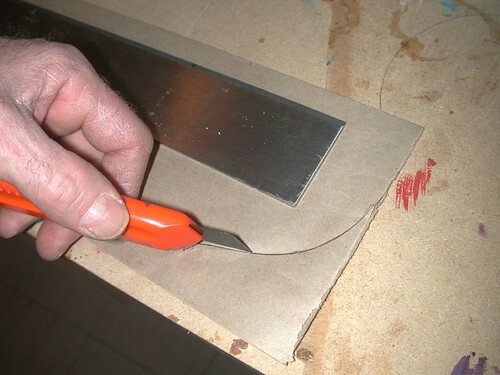 Use a utility knife with a long blade and a straight edge to do this. 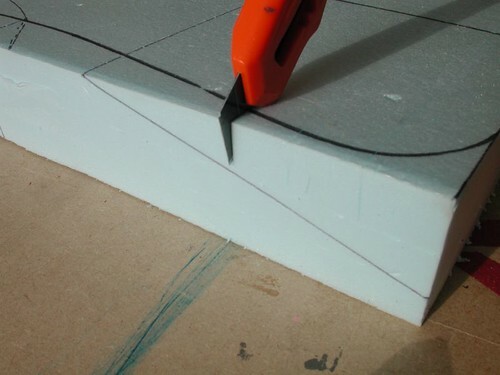 It is important to make your cuts as square and straight as possible. 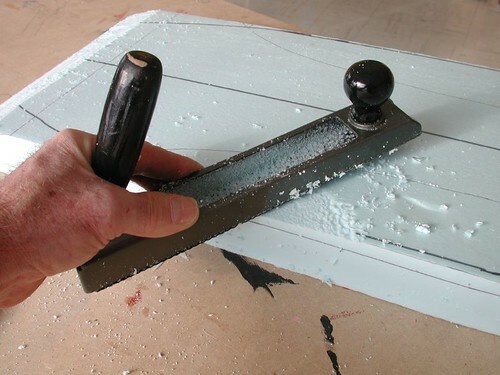 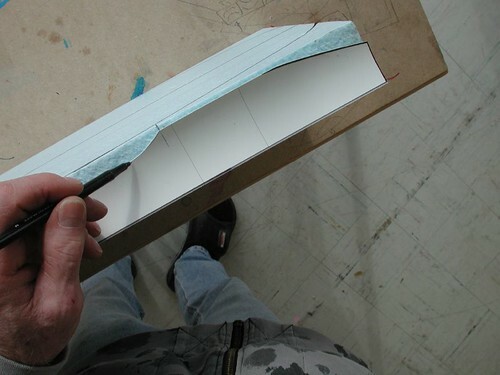 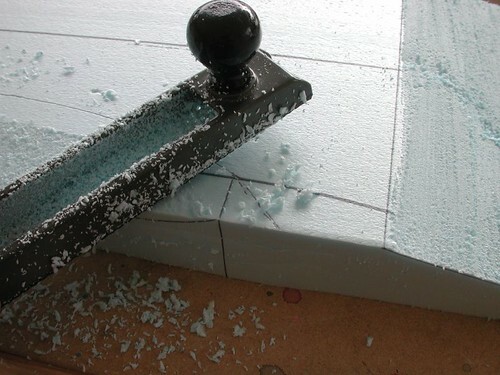 If you make your cuts in three strokes through the material, you will find the cut much more precise than if you try to cut through the thick material all at once. 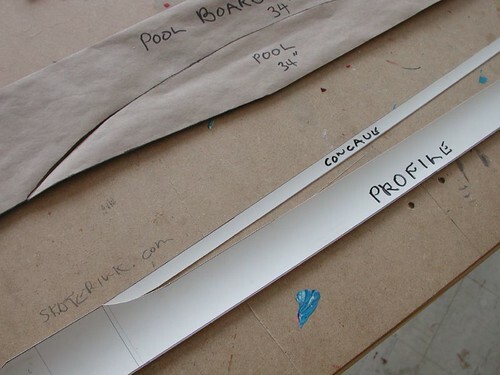 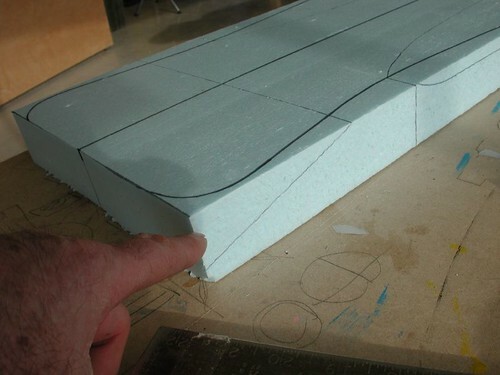 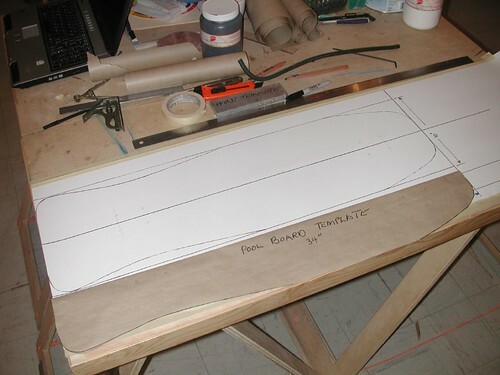 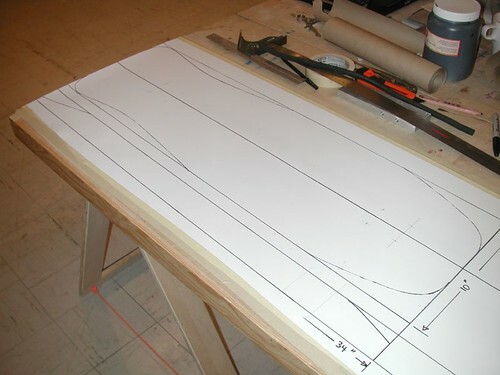 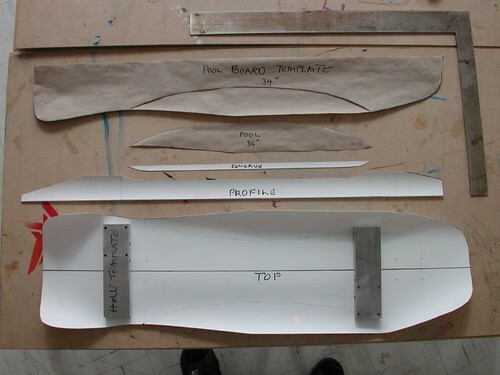 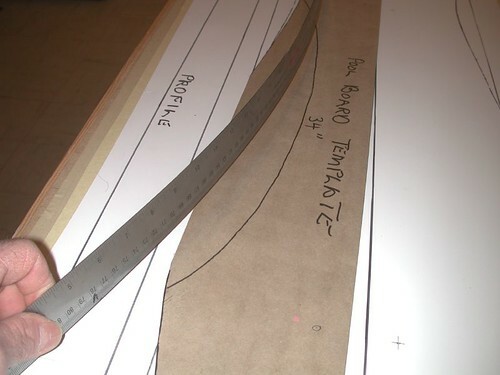 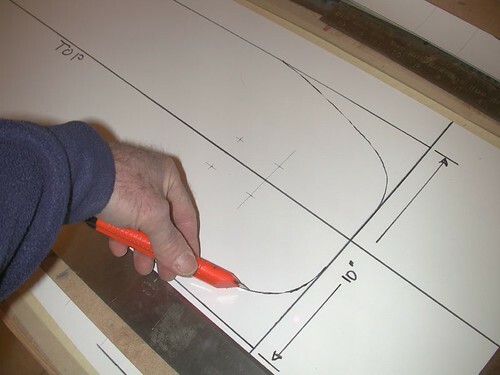 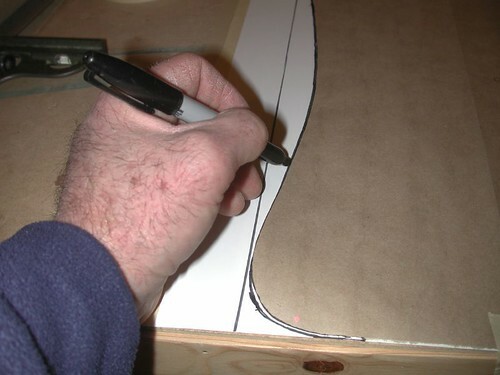 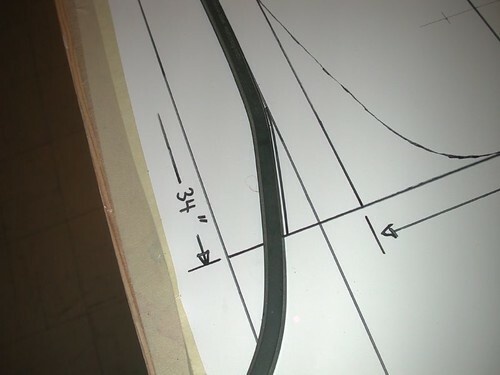 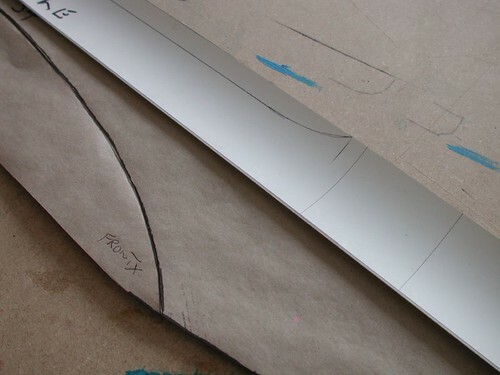 From your folded paper concave top template (I happen to have drawn this on my styrene) draw short lines to the egde of the foam showing the start and end of the curve. 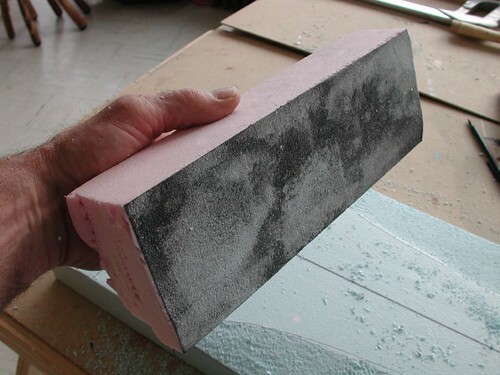 Mirror this on both sides of your foam. 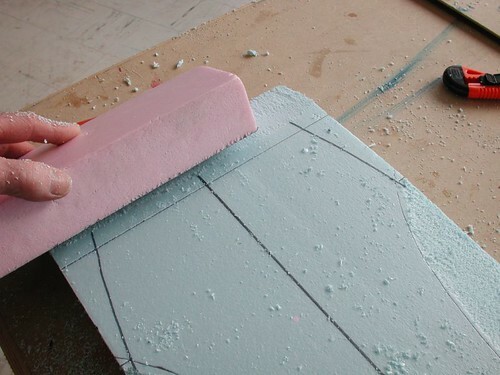 – Some sort of a saw. 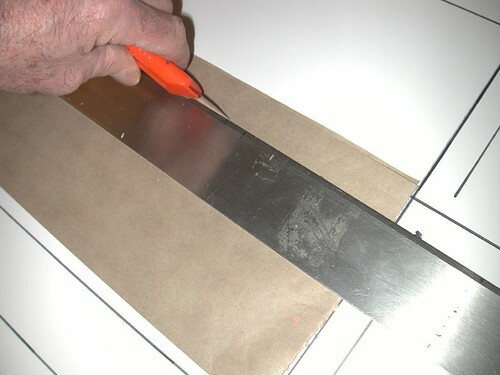 I used a Japanese saw, but a regular saw will do. 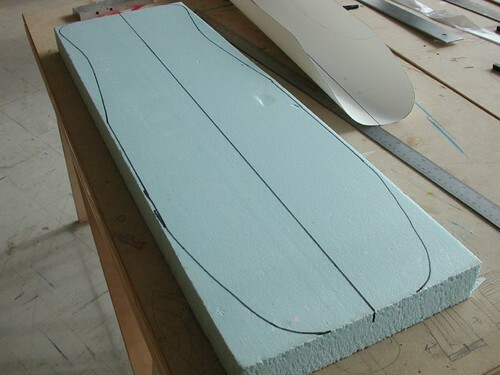 Here is the finished mold with nose, tail and concaves shaped uniformly. 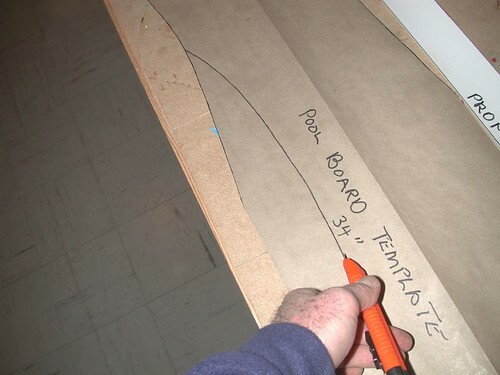 You can still see the drawn template lines. 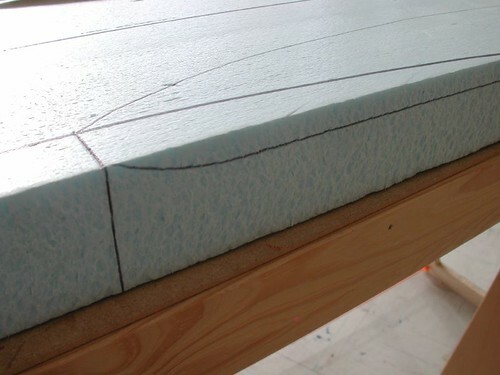 couldn’t you make ply wood templates, then cut the foam with a hot wire cutter? 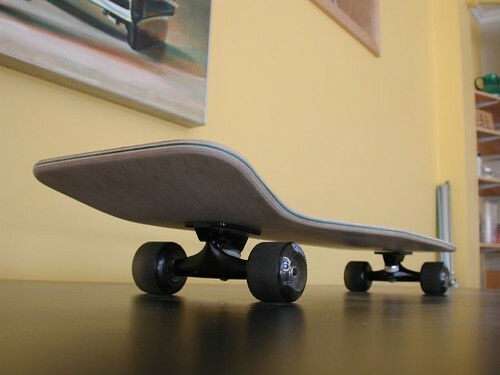 Why can’t the convave be rounded. 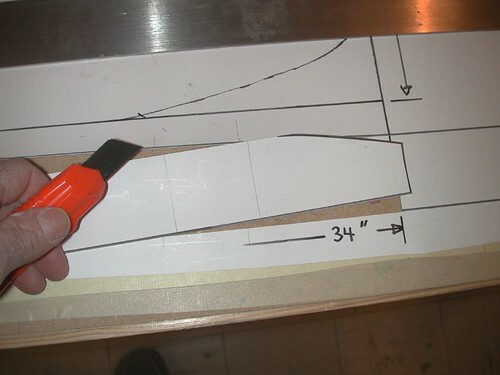 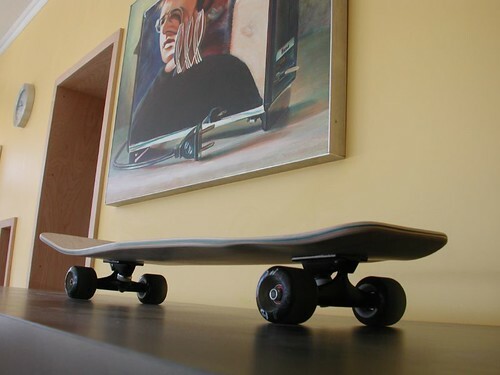 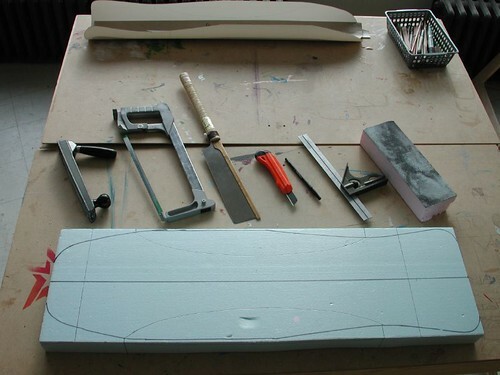 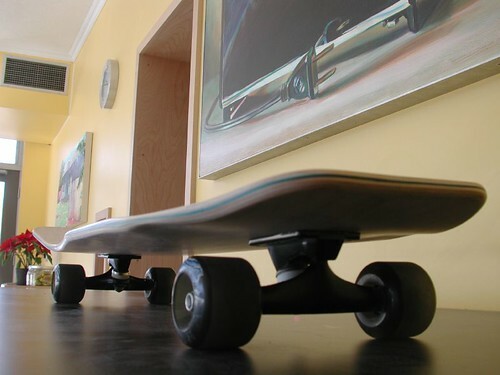 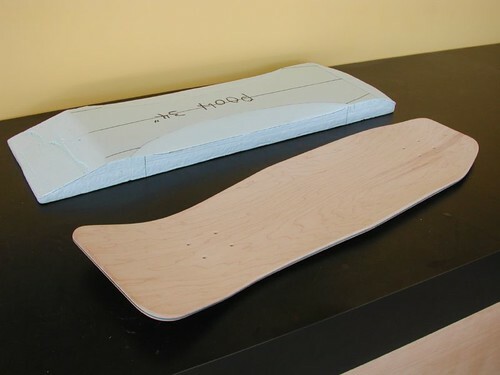 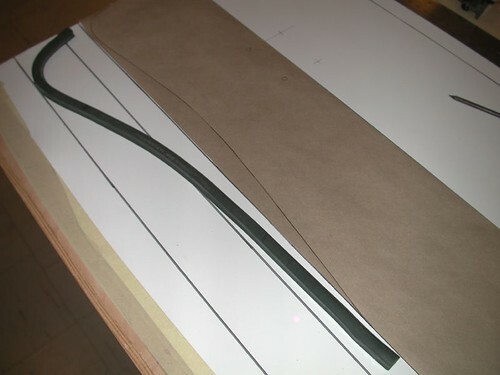 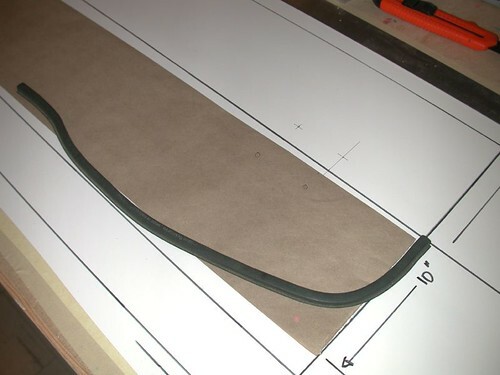 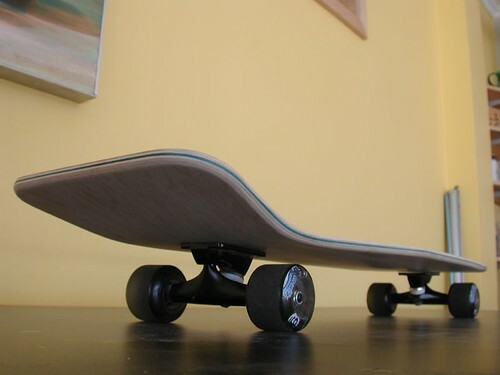 I want to make a nice tub concave and i dont want sudden bends in it. 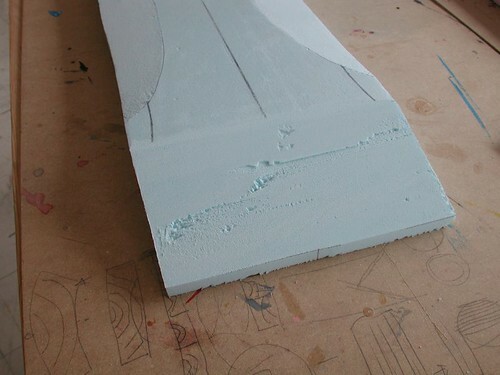 It can but the press does a better job pulling it down when the fulcrum point is not progressive towards the edges of the veneer.